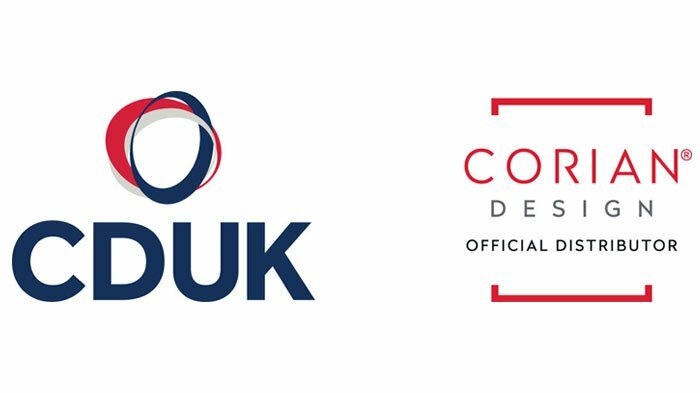 Welcome to CD (UK) Ltd.
From its head office in Morley, Leeds, the CD (UK) Ltd. group of companies develops and distributes world-class products supported by unparalleled service and support. CDUK, the official UK and Ireland Distributor of Corian®, is a long-established, family-owned company that puts customer satisfaction first. Our focus on constantly evolving our service and product offering, whilst fostering strong relationships throughout the supply chain, ensures we offer our customers the right solution, at the right price, at the right time. AirUno designer cooker hoods and accessories are designed to answer technical details and creative needs in the kitchen. The brand AirUno, born in 2008, has always paid special attention to the quality and efficiency of its products. These qualities, innovation and design make the company well known and the products unique. Stellar stainless steel worktops are created with the core principles of bespoke manufacture. The customer can specify their own dimensions, equipment, accessories and special features. Our products are designed and produced using the most modern technologies by highly skilled craftspeople, ensuring stunning one-of-a-kind pieces where quality is visible in every detail and is evident to the touch. The Washroom Solution is the perfect coming together of Primo Specialist Basins and Wash Troughs with Dyson Airblade Tap hand dryers. The result is a range of products that are designed to work hand-in-hand, technically and aesthetically. With a range of 13 basins and wash troughs, carefully designed to meet each and every washroom demand, there is a Washroom Solution for every type of project.